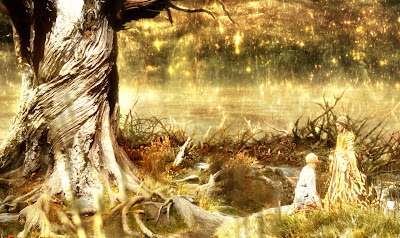 One of the most beautiful movies ever made depicting the past, present and future in a mystical tale of man's search for immortality. 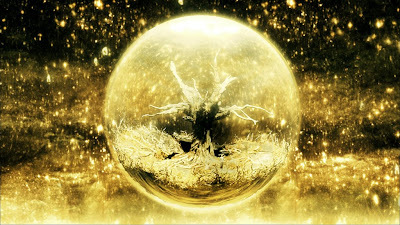 The movie has 3 stories each of them in a different time line spanning a thousand years, however connected beautifully in essence. The sacred tree of eternal life from the Mayan culture, our physical mortality and our quest to beat death make the foundation to this magical journey called 'The Fountain' ! * Brad Pitt was initially casted to play the character of Tomas. * Kate Blanchette was considered to play the role as the lead lady. * The movie was initially called 'The Last Man'. The Fountain is a story of love, death, spirituality and the fragility of our existence in this world ! This is my favorite movie! a true enlightening and spiritual journey that makes you think. It reminds me a lot of Alex Grey's art work and Hugh Jackmen couldn't have been a better candidate for Thomas!